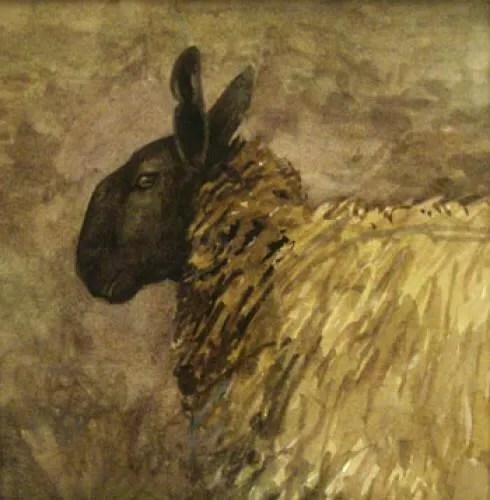 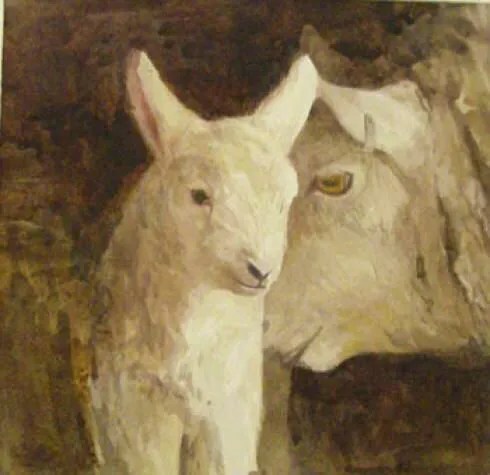 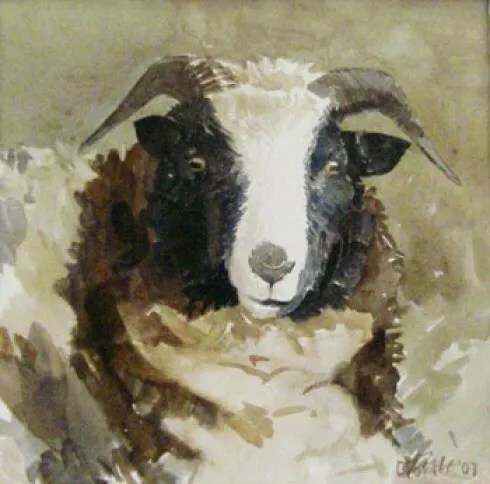 A series of watercolour paintings of some of the British breeds of sheep by Australian artist, Christine Porter, created from her 2007 McGregor Fellowship UK trip. 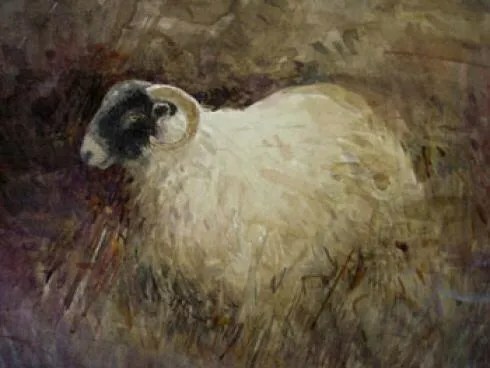 Exhibited: Toowoomba Regional Gallery, Jan 2008; The Moree Gallery, April 2008 and at the Royal Highland Show, Edinburgh, June 2008 – where Christine was the official guest international artist of the National Sheep Association. 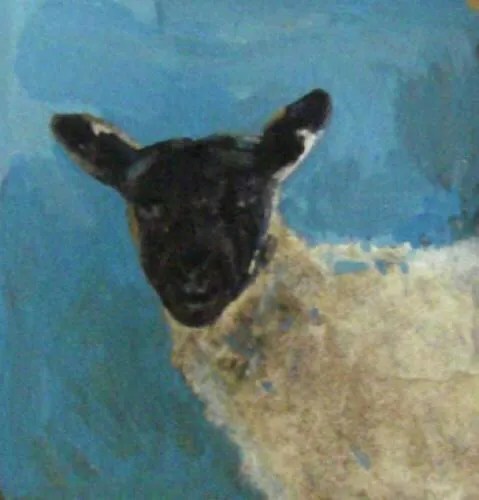 (excerpt from exhibition catalogue) “The seven day Hadrian’s Wall walk , from Newcastle-Upon-Tyne in the east to the Solway Firth in the west, is 165 km, and crosses land farmed for more than two thousand years. 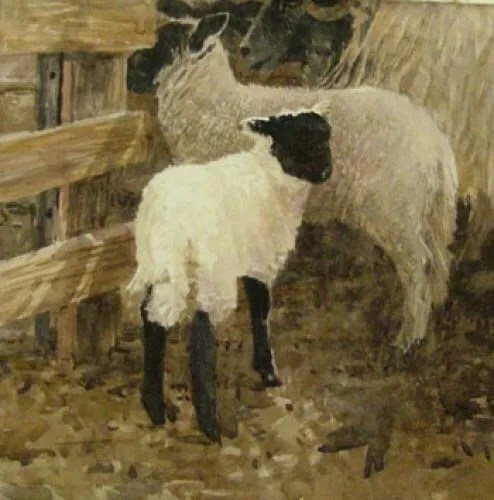 The pattern of fields of improved pasture, grazing the ovine and the docile, fenced and hedged and walled, seemed repeated all over the UK; not once in the three months of my trip was I out of sight of fence or house or town. 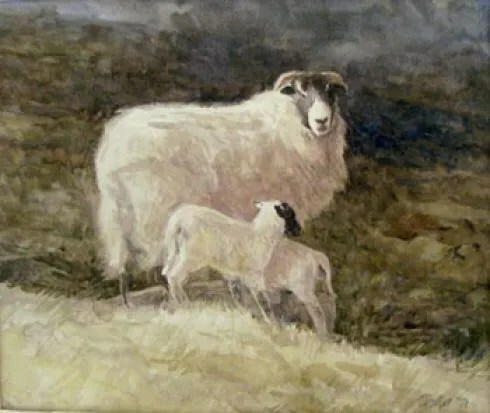 My walk became inevitably a meditation on both Roman and British colonisation and led me to consider those patterns of repeated emigration within my own family that placed me, suddenly, where my ancestors had been re-placed from…This series of paintings, individual sheep that stand in for all the once native elements of this once wild place, describes how generations, nay, tens-of-thousands of generations of invaders, landholders and city-dwellers have subjugated the wild there, resulting in the land as a palimpsest; native stock as exotic and a people tucked safely away in their houses, warm and protected from “nature”. 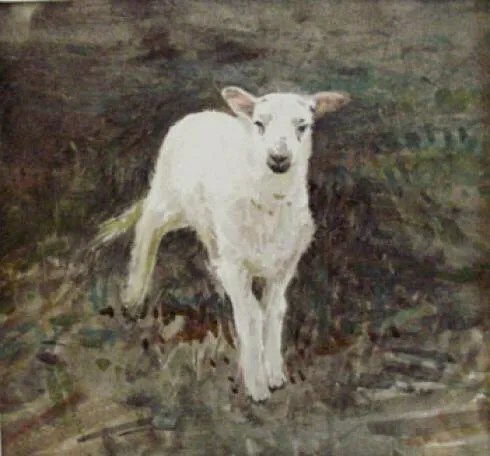 All the paintings from this series have sold, however they created such interest that Christine and the web-designers decided to keep the page up. 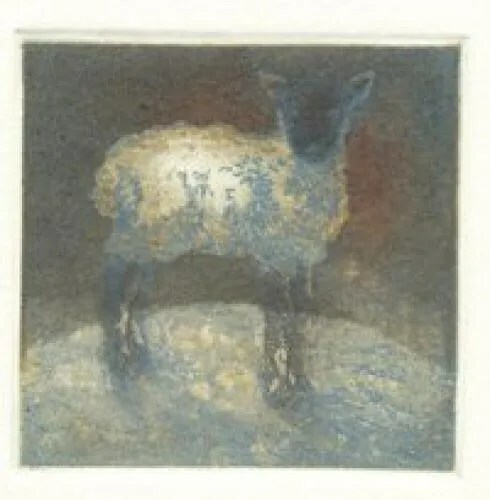 A small multi-plate colour etching inspired by this series is still in edition. 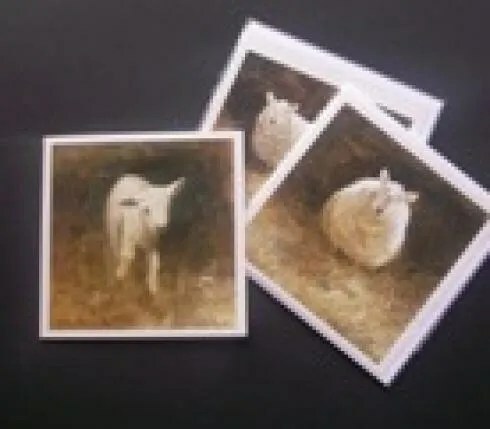 The sheep card set continues to be a favourite. 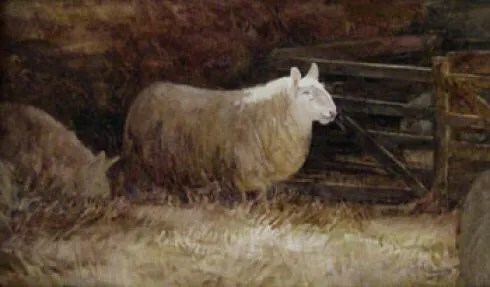 This is a small collection of the work from this series which has sold into private collections in Australia and the UK. 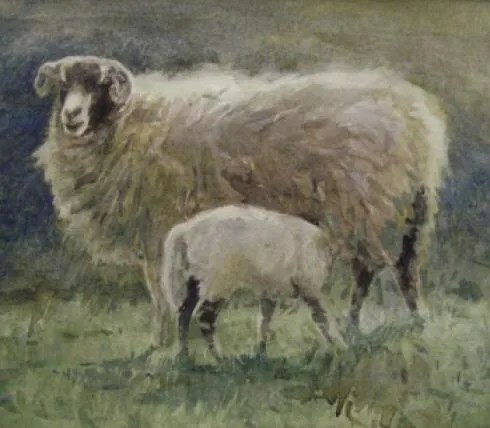 Contact Christine if you have a breed of sheep you’d like her to see. 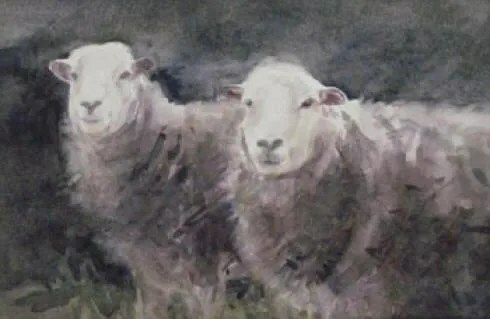 Please note, colour may vary from what you see.